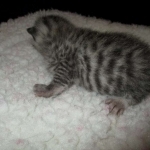 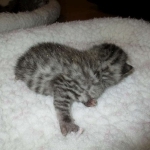 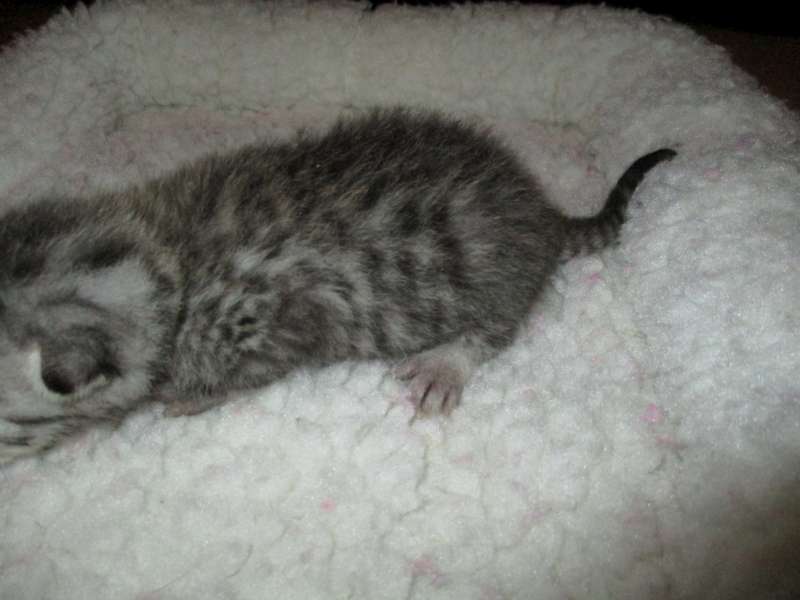 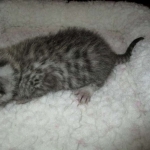 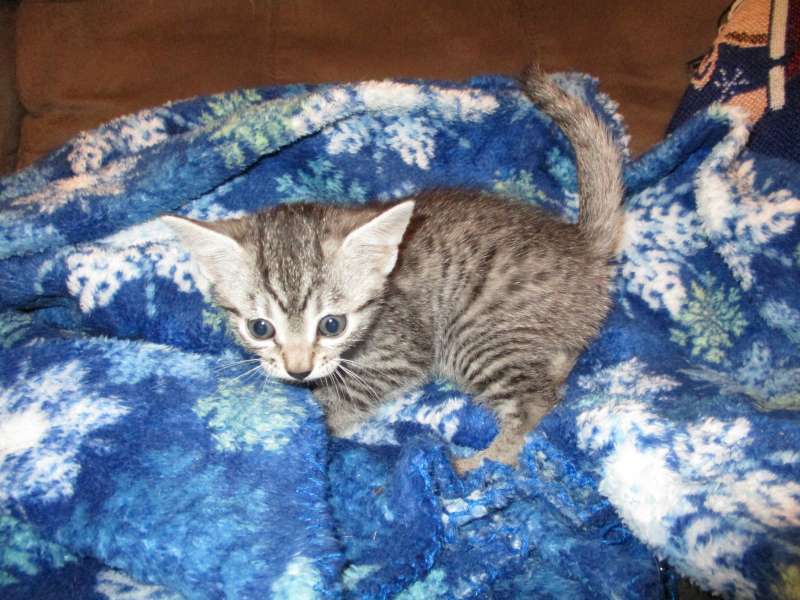 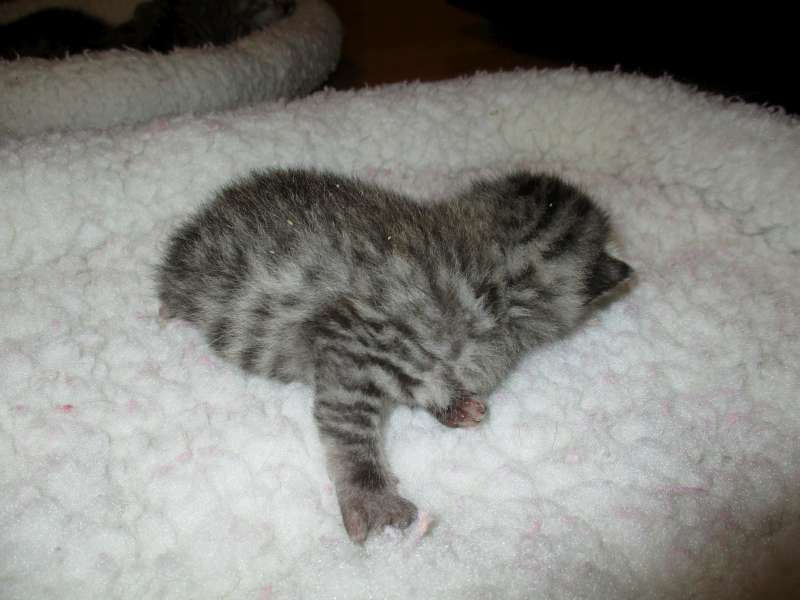 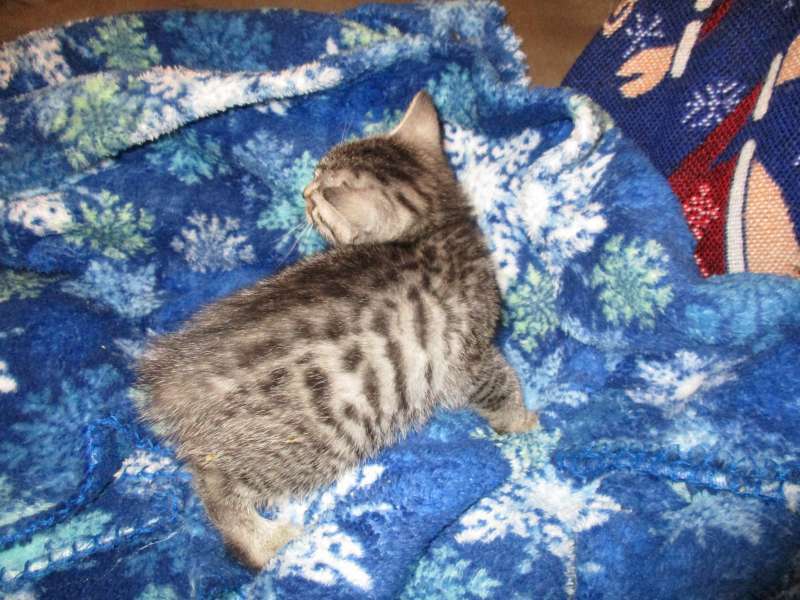 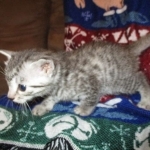 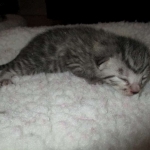 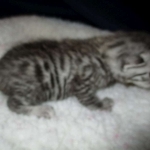 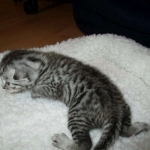 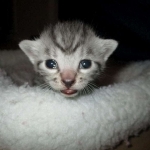 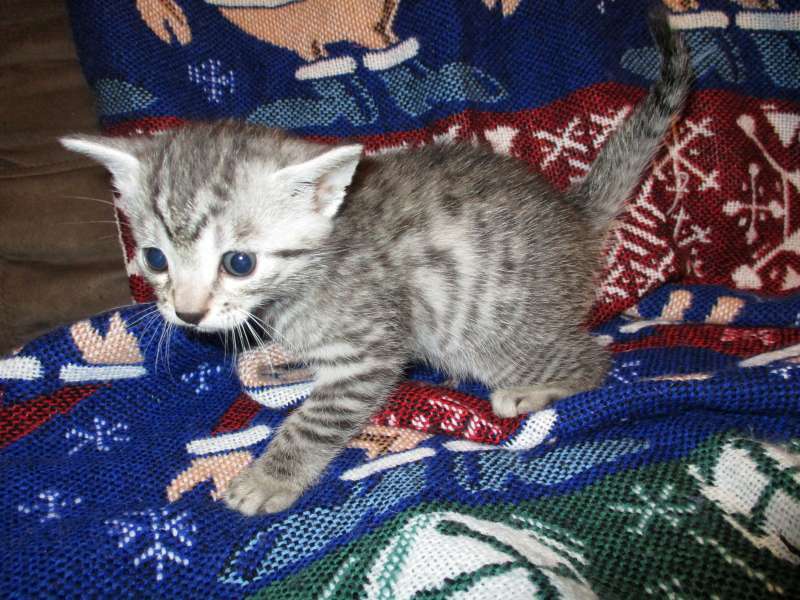 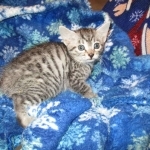 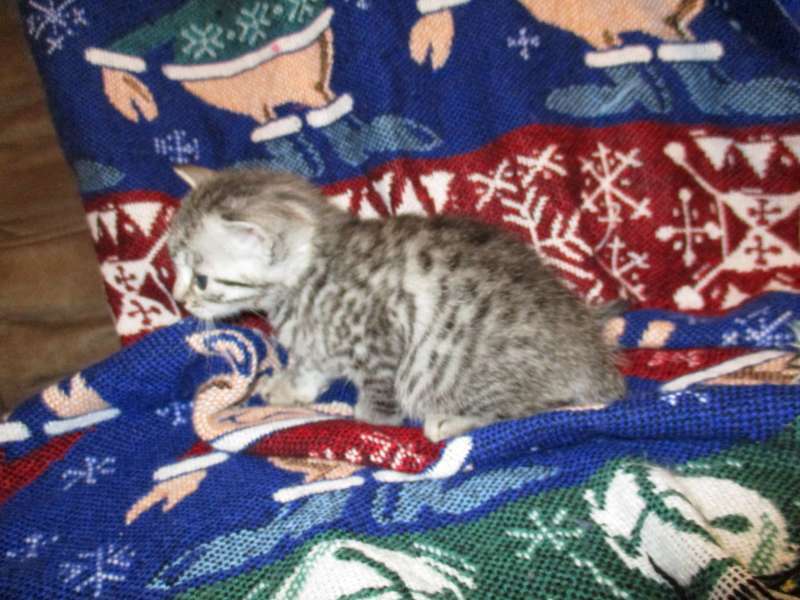 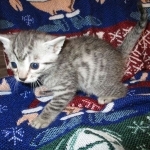 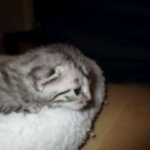 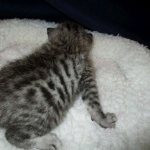 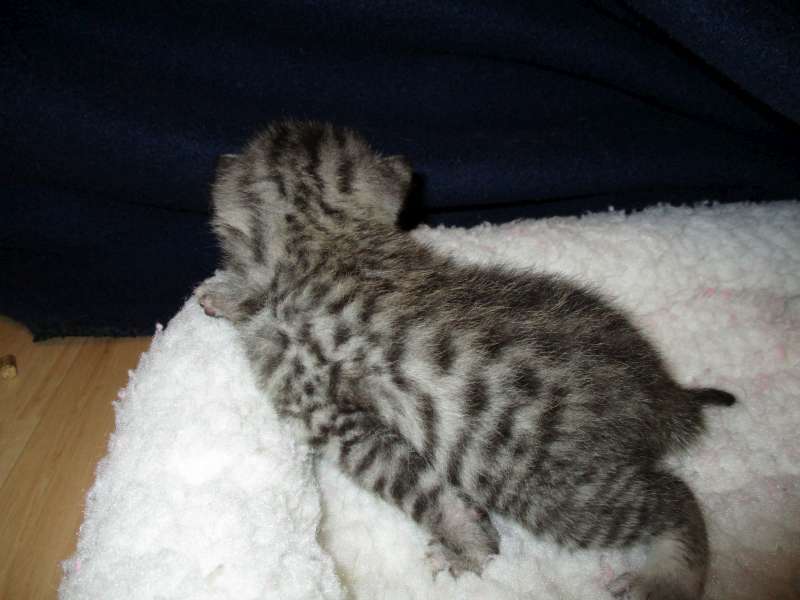 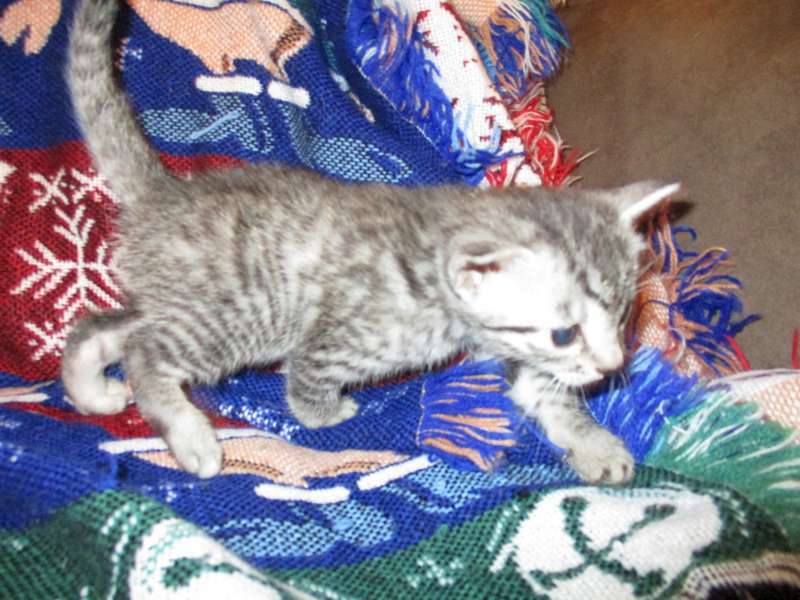 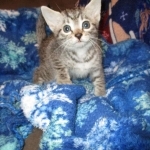 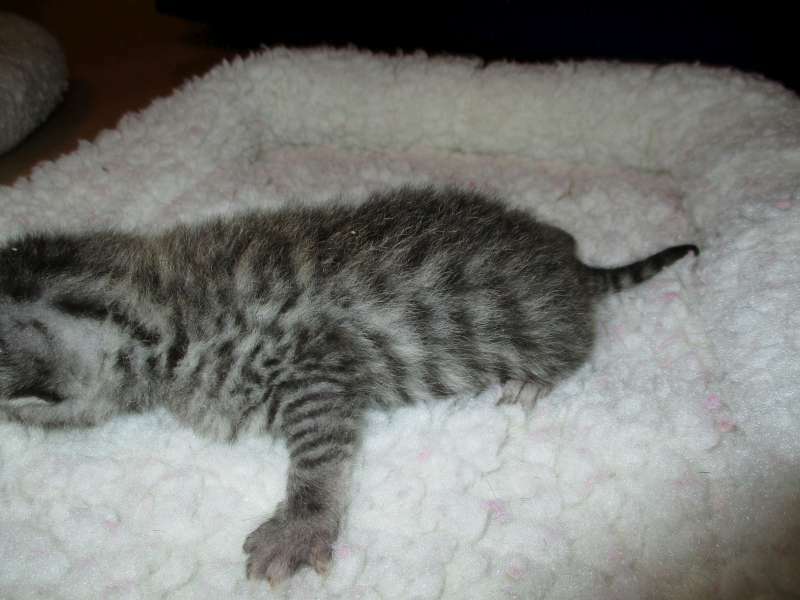 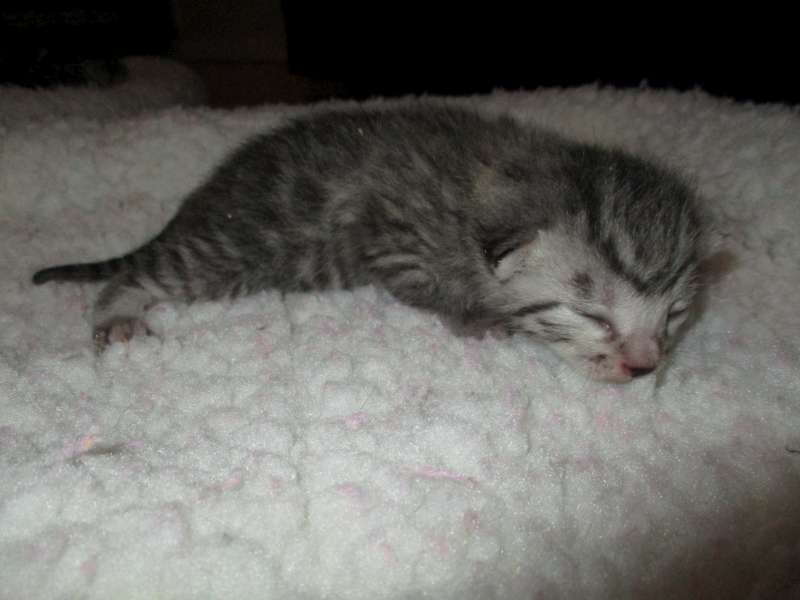 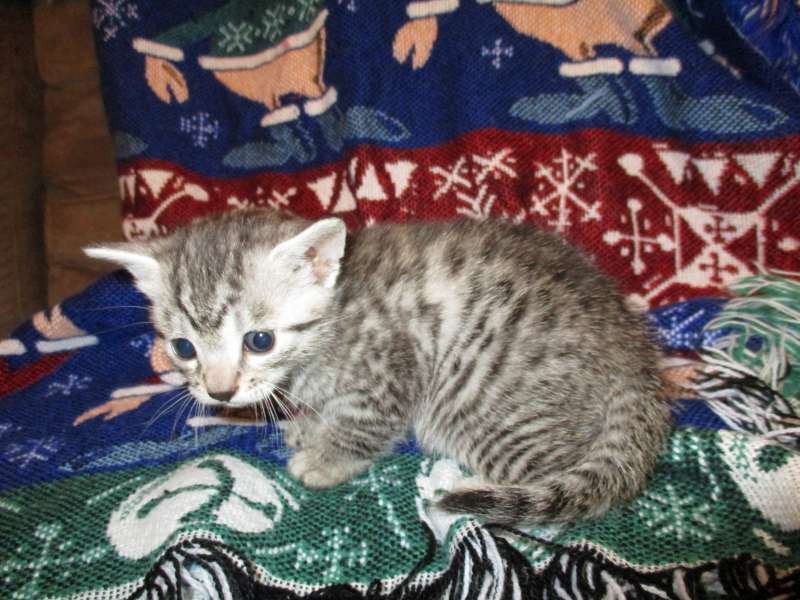 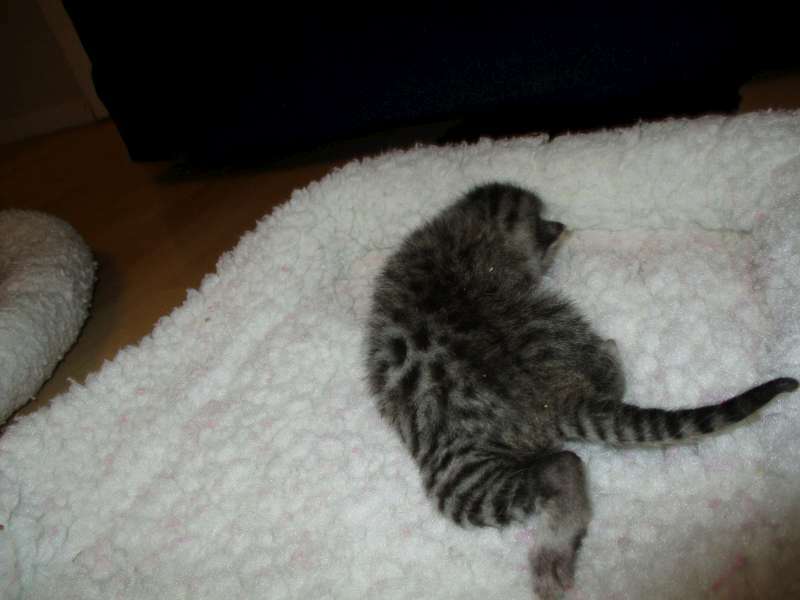 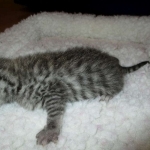 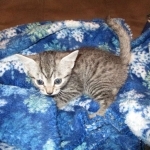 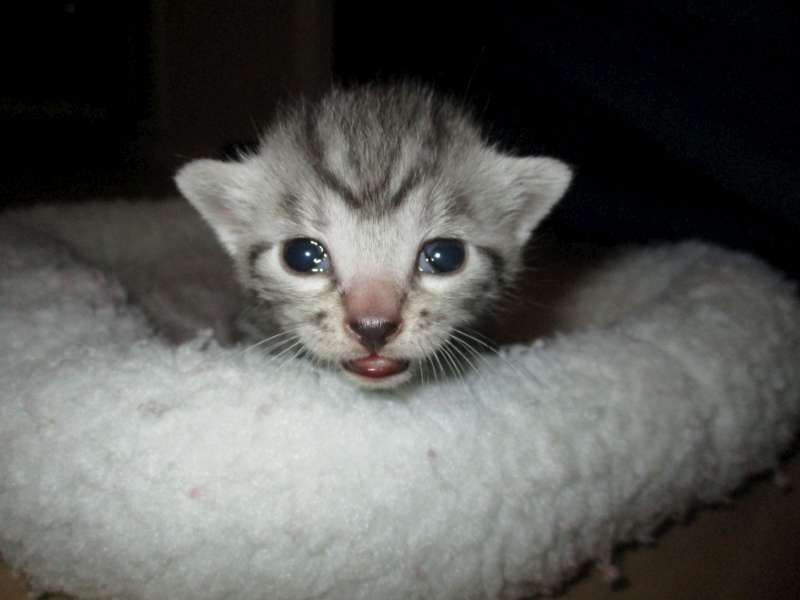 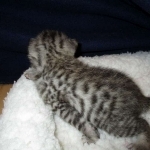 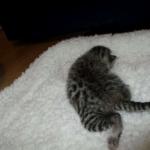 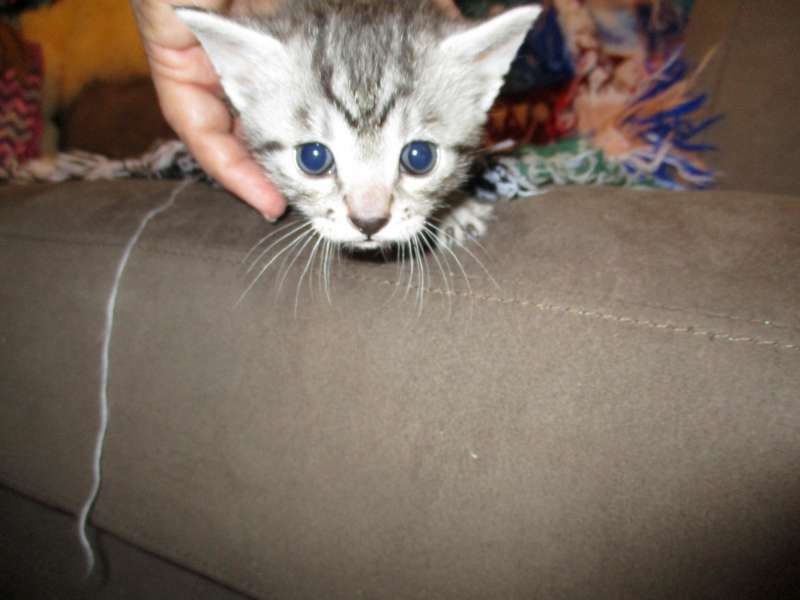 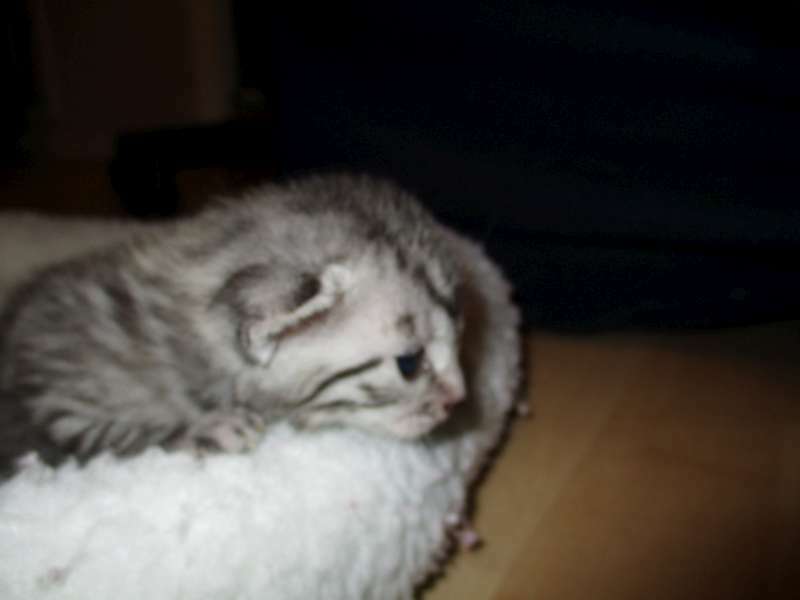 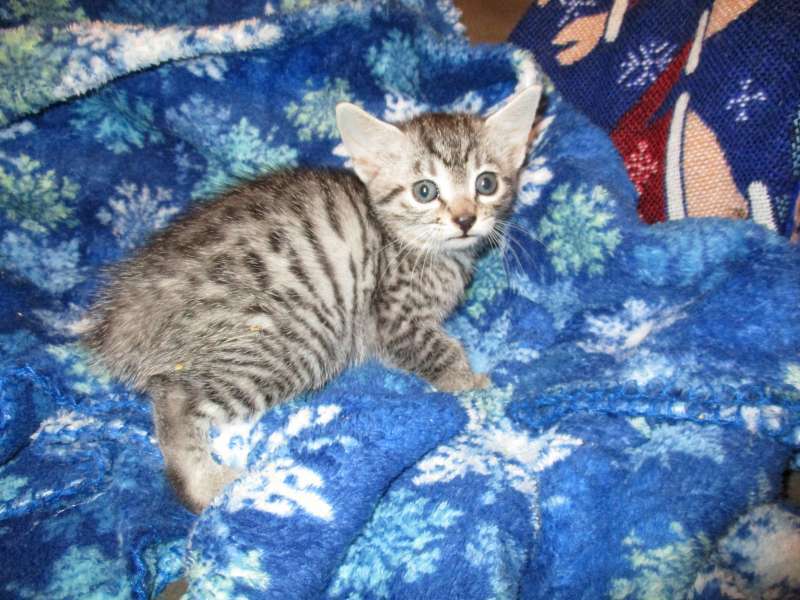 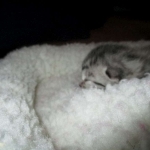 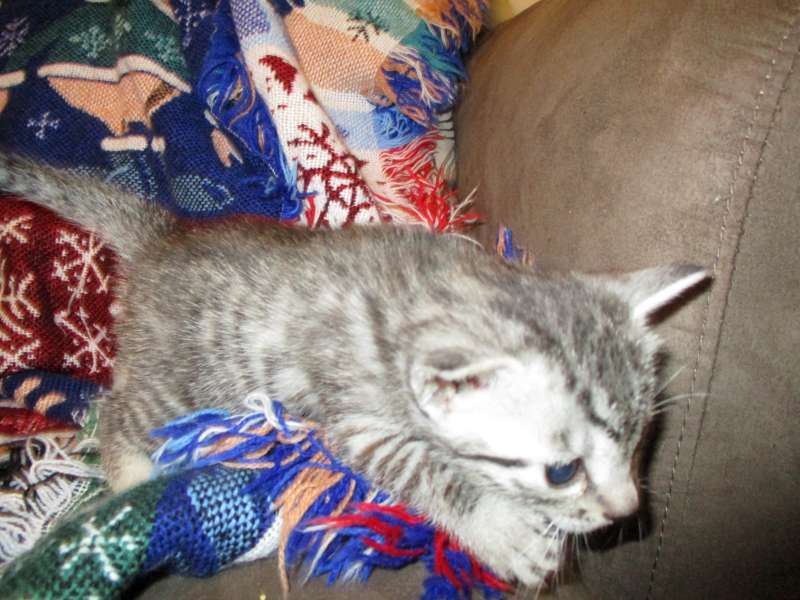 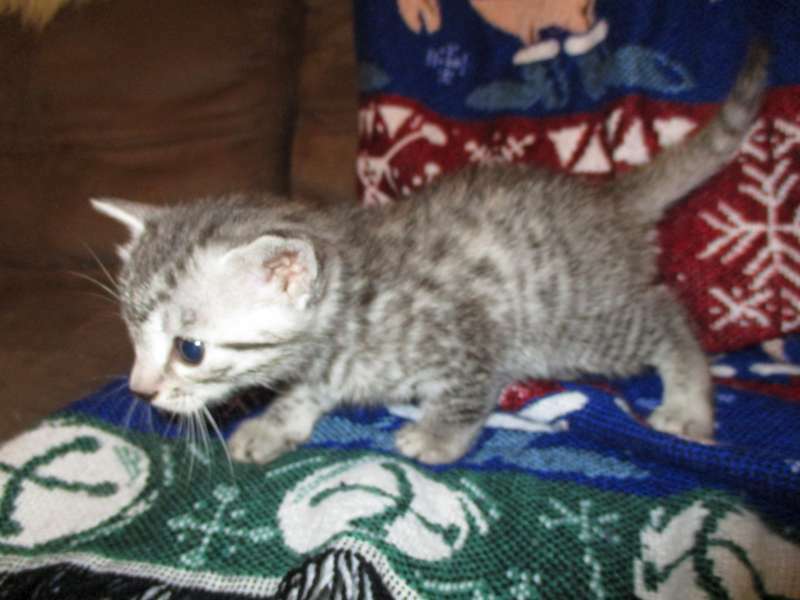 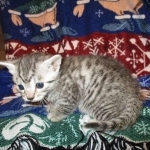 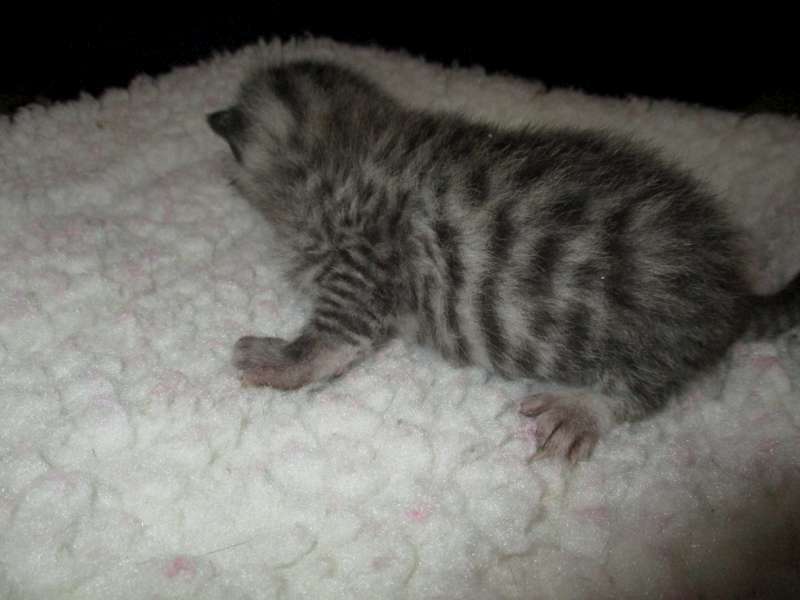 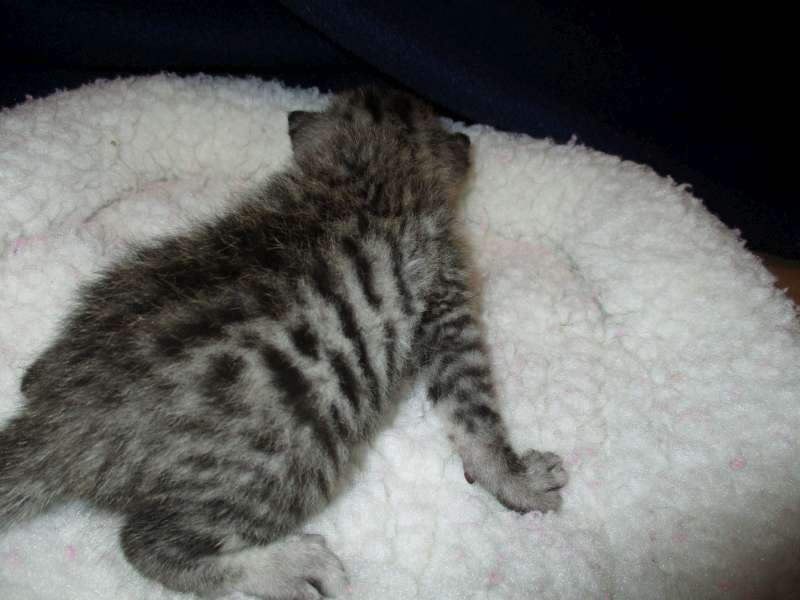 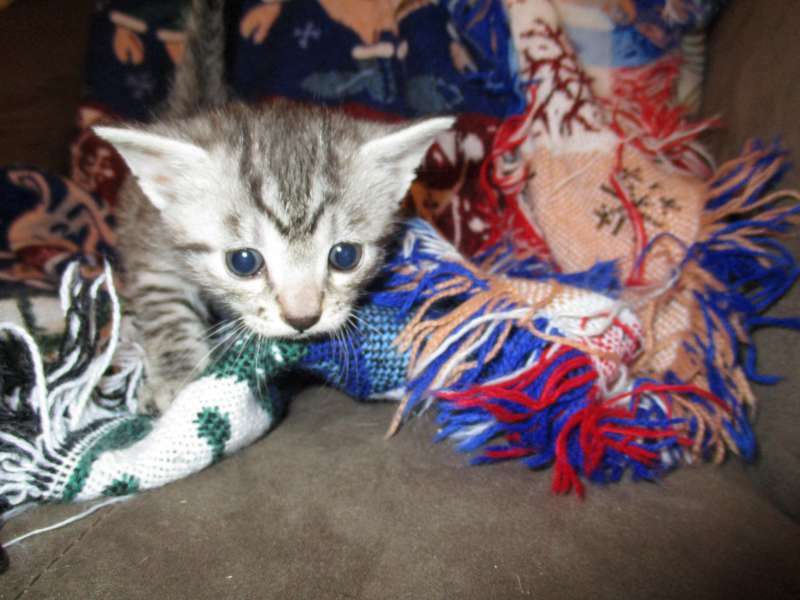 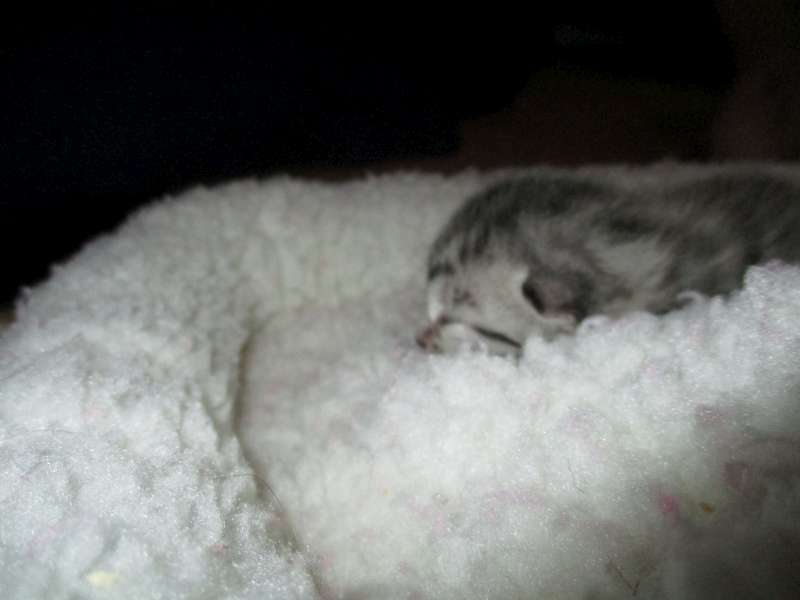 This Beutiful little mau girl will likely be a cool bronze as as adult. 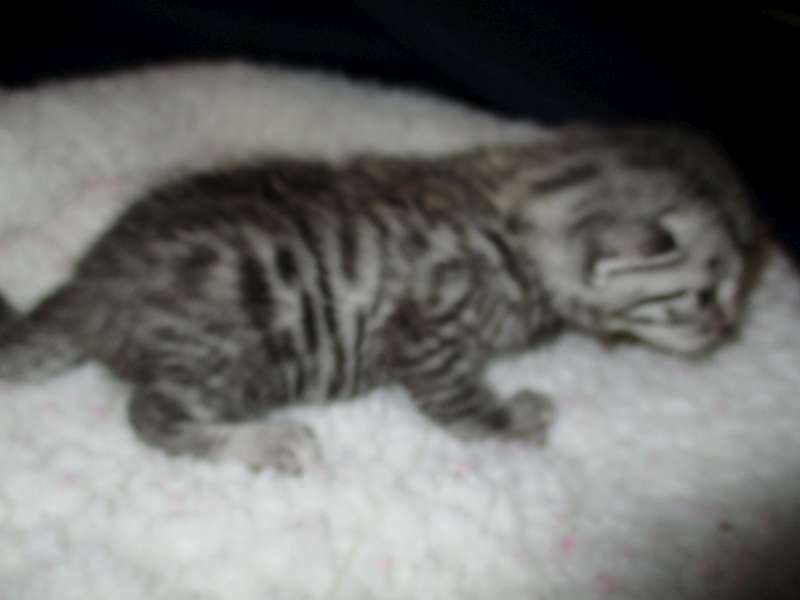 Many people will call her silver but I believe she will have will have very black spots and enough cream color in her coat to register as Bronze. 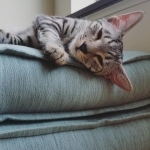 She will be going home with Elizabeth In VA.
Cricket also had her front left canine removed due to a rare event where her adult canine grew straight out instead of down. 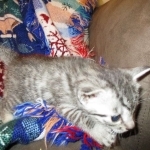 This caused her tooth to rub up against her upper lip which was extremely painful. 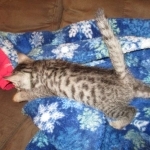 The surgery went well and she is completely healed and back to her energetic self. 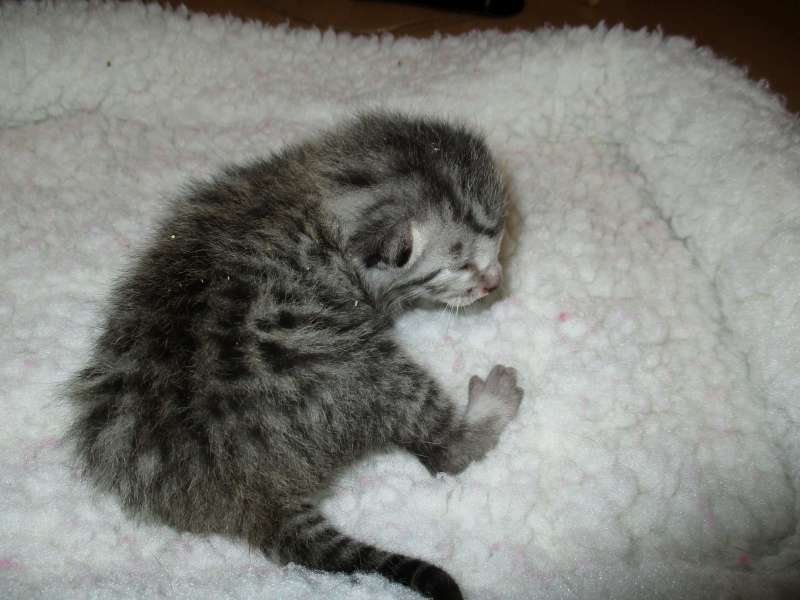 Pharah, who everyone now affectionately calls Cricket, is doing extremely well. 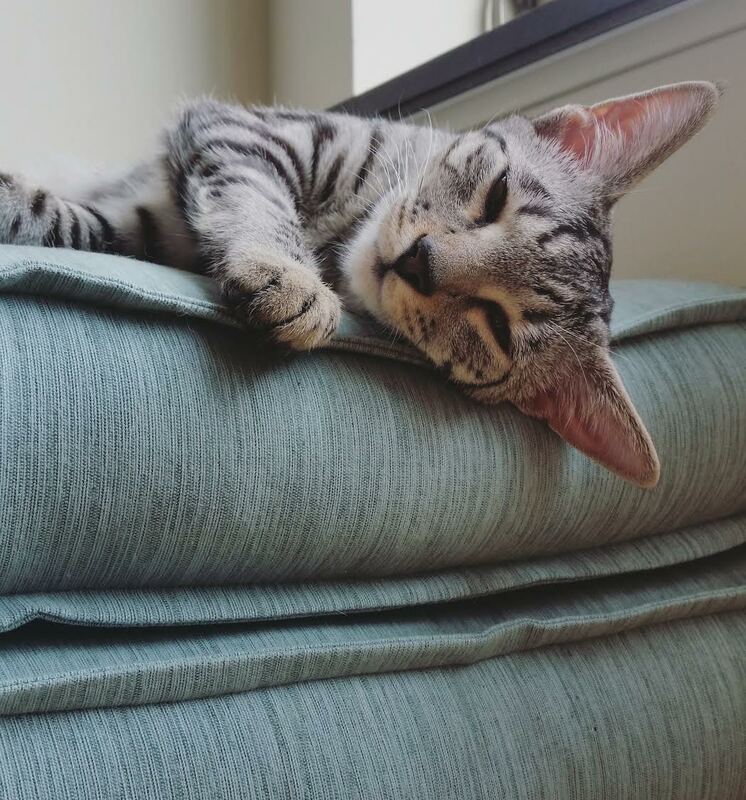 She has grown up so fast! 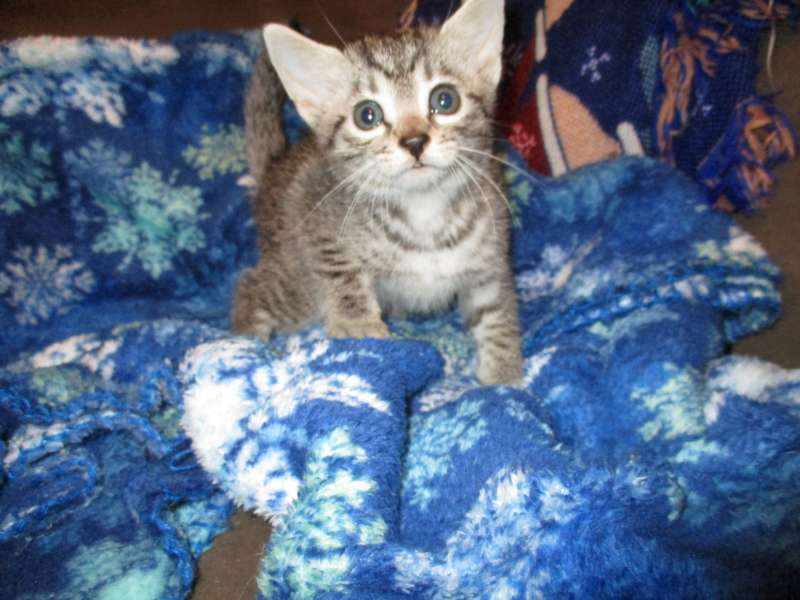 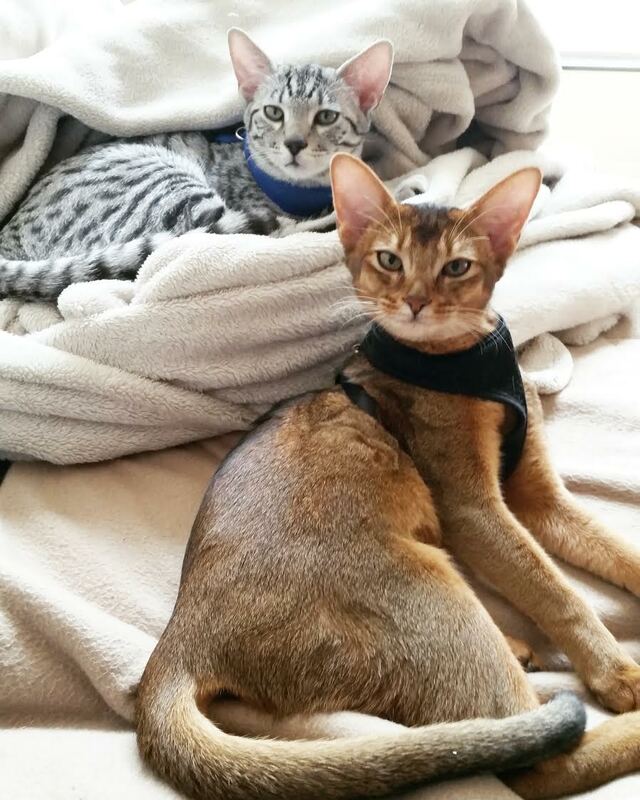 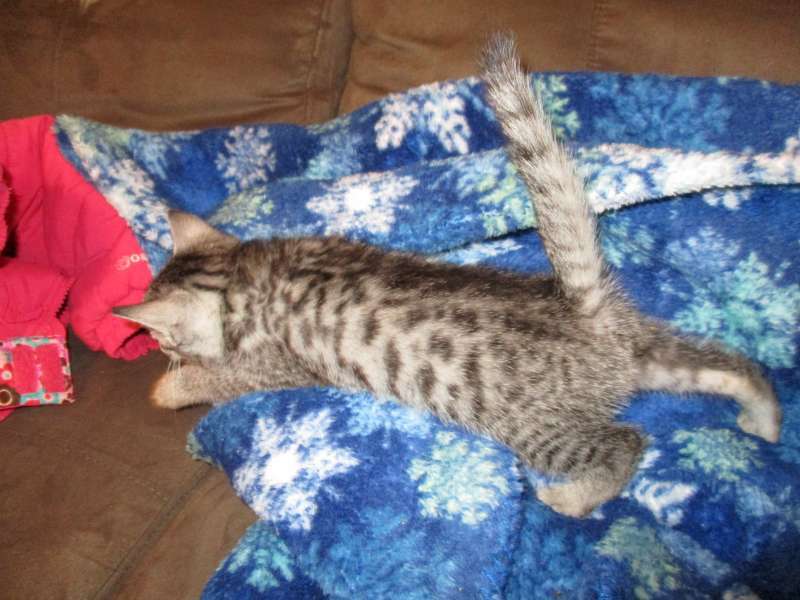 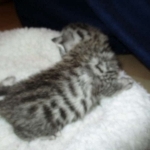 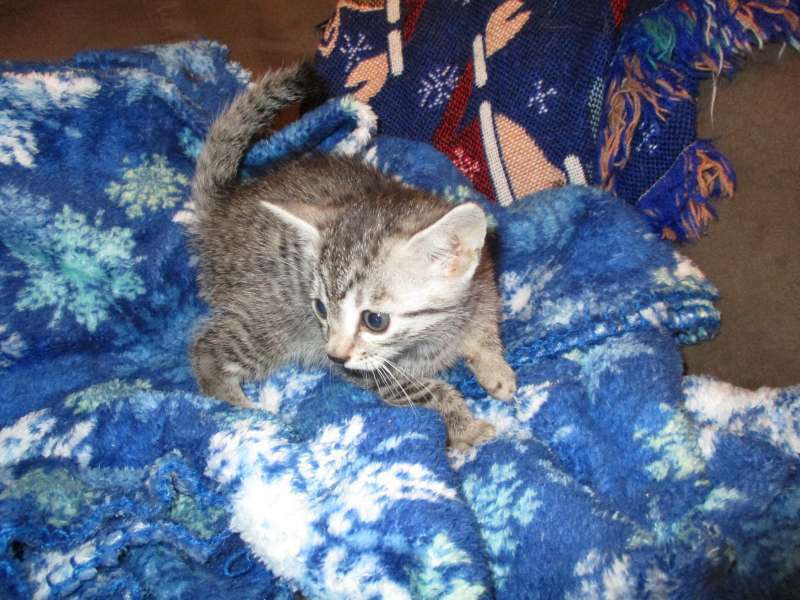 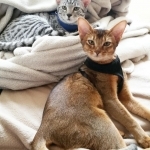 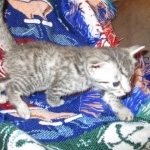 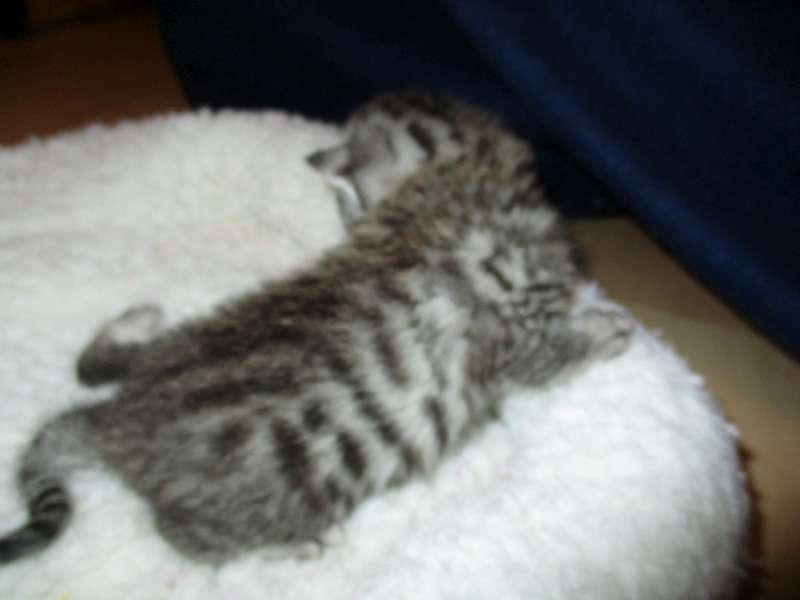 She has an older Abyssinian sister named Nyla whom she adores and copies.